Chartered in 1871, the city of Florence sprouted at the intersection of the Wilmington & Manchester and Northeastern railroad lines. In fact, it’s named after the daughter of Gen W.W, Harllee, the president of the W&M railroad, who built his home here. Florence was rated one of America’s top small metropolitan areas for job and economic growth in 2008 and over 9 foreign affiliated companies and 14 Fortune 500 Companies operate in the region. These include manufacturing facilities for Honda and ESDAB, distribution centers for QVC and Heinz, and regional headquarters for Bank of America, Duke Energy and ATT. Today, the area flourishes as Eastern Carolina’s center for commerce, finance, transportation, and healthcare, as well as education. Florence is also a bustling retail hub for the Pee Dee region of South Carolina, with two major malls and mom and pop stores spread throughout the city. Community Broadcasters strives to serve the whole community with six radio stations, offering a wide range of formats from Sports and Talk to Rock, Country, and Today’s Hits. 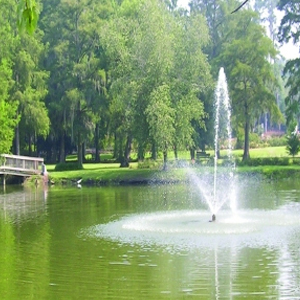 Named after Gen. Thomas Sumter, the “Fighting Gamecock” of the American Revolution, Sumter is located in the geographic center of South Carolina. It’s residents enjoy the small hometown feel, the conveniences of a city, and the moderate climate. Today, the area is known for agriculture, textiles, manufacturing, and biotech, with a thriving retail environment and medical center. With more than 50 diversified industries, including Shaw Air Force Base, Sumter’s economy is growing and currently has over 43,000 persons in the local labor force. 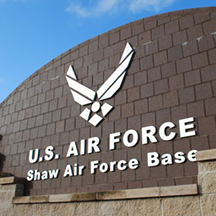 The expansion of Shaw Air Force Base, which houses the headquarters of the United State Army Central, 9th Air Force and 20th Fighter Wing brings the total population to over 115,000. Community Broadcasters is proud to serve the Sumter area with five stations offering Active Rock, Urban R&B, Country, Adult Hits and News Talk and sports. Located near the banks of the North Edisto River, the settlers of Orangeburg enjoyed fertile soil and the abundance of wildlife. The river also provided an outlet to the port of Charleston for the agriculture and lumber products. 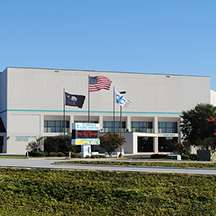 More recently, Orangeburg’s business initiative has resulted in an influx of global manufacturing facilities including companies based in England, Canada, Germany and Brazil. The industries range from tech and aerospace to chemicals and transportation. Every year, the city swells with the additions of college students from around the world. Claflin University was ranked as the best liberal arts college in the state in 2014 and South Carolina State University is one of the country’s leading transportation studies departments. In 2007, Orangeburg hosted the first Democratic U.S. presidential candidate debate on the campus of South Carolina State University, where many people first saw Senator Barack Obama. While the city population is 14,000, the greater city area swells to 77,000, many of whom enjoy our Country and Classic R&B stations daily.